Bob Avellini #7 of the Chicago Bears drops back to pass against the New Orleans Saints during an NFL football game October 2, 1977 at Soldier Field in Chicago, Illinois. 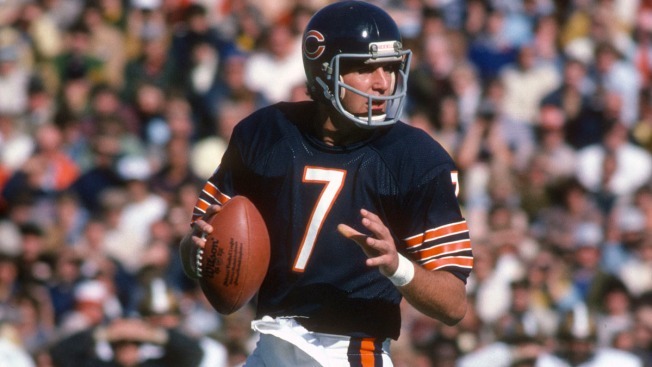 Former Chicago Bears quarterback Bob Avellini was sentenced to 18 months in prison after pleading guilty to aggravated driving under the influence. DuPage County prosecutors say the 61-year-old Avellini was stopped by police near his suburban Chicago home in September 2013. A blood test revealed an alcohol content almost twice the legal limit of .08. Avellini was scheduled for trial next month. However, he entered the guilty plea Wednesday, after which Judge Daniel Guerin imposed the sentence. Avellini must serve half the time before being released. Authorities say Avellini has been arrested six times on DUI charges in 12 years. Avellini must surrender Dec. 1. However, he will be able to testify on behalf of his lawsuit against the Bears. He is seeking compensation for cumulative injuries suffered during his career.